Verdant Capital advised OTI on the sale of MediSmart, a leading secure personal health informatics solution provider focused on the East African market. MediSmart provides a platform to manage information and claims submission for the medical sector by incorporating contactless smart card and biometric technologies. This enables efficient and secure access to medical information, transactions, claims and reporting. By enabling efficient patient identification and claims administration, MediSmart facilitates the broadest possible access to medical insurance. MediSmart is an example of the application of technology to further the goal of financial inclusion. 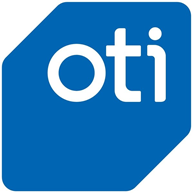 OTI is listed on NASDAQ in New York. Through the use of near field communication (NFC) technology, OTI is a market leader in designing, manufacturing and selling cashless payment solutions. OTI’s products have been providing solutions around the world through cashless payments and management requirements through their global network of regional offices and alliances and have thus received the 2017 Al Award for Best Cashless Payment Solutions Provider. This transaction represents Verdant Capital’s third successfully completed fintech project in 2018, and the fintech sector remains a key vertical of the firm’s growth.